Sikkim, which became the 22nd state of India in 1975, is now a tightly integrated constituent province. Among a number of accounts that have been published on the ‘merger’ vs ‘annexation’ debate over the erstwhile protectorate of Sikkim, Andrew Duff’s presentation in Sikkim : Requiem for a Himalayan Kingdom (Random House, 2015) is possibly the most fascinating and engrossing. Duff places his arguments against the backdrop of a much broader picture of national, regional and global events that unfurled in the 1960s and 70s. A fabulous account of how the nearby town of Kalimpong emerged as a spy capital is narrated against the secret yet relatively protracted CIA operation of mobilising Khampa rebels supporting the Tibetan movement. These rebels were taken through this region and trained at Okinawa and Saipan Islands in Japan and dropped back both in Tibet and Nepal. 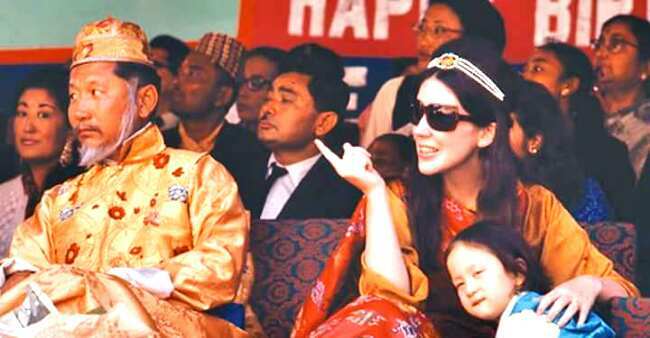 The role played by the royal family in Sikkim in this operation is quite intriguingly interspersed. Love for Sikkim among the members of the Nehru family and closeness to monarchs Tashi Namgyal and later Chogyal Thondup Namgyal are reflected throughout. How Indira Gandhi became insecure and dependent on the bureaucracy and a few advisers to decide on the future of Sikkim amidst a national crisis in the mid 1970s is also an argument Duff puts forth. Gradual yet effective induction of the royal family of the second wife of Chogyal Hope Cooke, later known as Gyalmo, is also well captured. Gyalmo’s role in internationalising the issue of Sikkim’s distinct identity ultimately leading to a range of accusations against her pushed her to leave Sikkim along with her children. Henry Kissinger once told Chinese Premier Chou En Lai, “she has become more Buddhist than the population, she makes me so nervous I always avoid seeing her.” Accounts of many personalities from Sikkim—like Coocoola, Chogyal’s charming sister, MM Rasaily and Kazi Lhendup Dorji’s (the first chief minister of Sikkim) and his Scottish wife Kazini Elisa Maria, among others—and their colourful roles make the volume highly readable. Narratives of critical actors from the Indian side including towering administrators and suave diplomats are also covered. What led to Chogyal’s steady downfall and oblivion has its roots in his apparent anti-Nepali stand topped by autocratic style. The Sino-Indian war of 1962, Sikkim’s historical connections with Tibet and UN memberships to Bhutan and Nepal made the centrality of Sikkim the quintessence of India’s foreign policy in the Himalayan region. What comes out clearly in the volume is a lack of institutional support from within Sikkim when Chogyal singlehandedly fought against New Delhi’s subtle yet single-track move to make Sikkim an Indian state. Chogyal, despite such a prolonged rule in Sikkim and with an educational background from the most sought after institutions in Great Britain and India, did not have the legal, political, diplomatic and economic wherewithal to convincingly argue his case for sustaining Sikkim’s identity. This was clearly reflected in his dispersed attempts to woo Bhutan, Nepal and the global media and honest efforts to preserve his regime. Duff makes a very emphatic revelation when he states that like Chogyal both Kazi and Kazini actually did not want Sikkim to lose its distinct historico-political identity.They wanted the continuation of the Sikkimese political system with a democratically elected government and Chogyal to play only a role of a titular head. In fact, it was Kazini who mediated between Kazi and the young Crown Prince Tenzing to agree on terms that ‘retained some individuality of Sikkim’. However, it was too late for the Indian political dispensation to let it happen. After the merger, first senior intelligence officer MK Dhar also reconfirms this as he wrote Kazi “had reluctantly committed himself to the merger of Sikkim with India….Once caught into the web of Delhi’s design [he] had no option but to drift along, though he did not want outright abolition of the identity of Sikkim.” Later Kazi Lendup Dorji became the first democratically elected Chief Minister of Sikkim within India. Interestingly, the age-old Sikkimese political system and institution was so roughly and permanently uprooted that the generations born after 1975 may actually find it difficult to trace the remnants of the royal heritage. The only remains are the well-maintained Rajbhavan, a symbol of Indian assertive democracy and the Chogyal’s dilapidated palace like an old ruined fort. Morarji Desai visited Sikkim in 1968 as the Deputy Prime Minister and was supportive of the Chogyal’s line of thinking. Maybe he took Nepali subjects in Sikkim as the core force behind the merger of Sikkim into India. As a result, the post-1975 parity given to the Nepali subjects in terms of reservations of seats in the Sikkim State Assembly was abruptly discontinued during the Janata regime. He also famously called Nepali a ‘foreign language’ to the delegates of the All India Nepali Bhasha Samiti based in Darjeeling who had met him for the recognition of Nepali language in the constitution of India. However, Nepali as a modern language of India was enshrined in the Eighth Schedule of the constitution in 1992. A series of upheaval was witnessed in the Himalayan region in the aftermath of the merger. Feeling insecure and unsafe, particularly on the articles of the 1950 Peace and Friendship Treaty with India, Nepali monarch Birendra vociferously propagated the idea of Nepal as a ‘Zone of Peace’. This was equally vehemently opposed by the Indian establishment. On the other hand, the Bhutanese increasingly demanded the revision of the India-Bhutan Treaty of 1949 wherein, like between India and Sikkim of the pre-1973 period, foreign policy (Article 2) was to be conducted by the government of India. It was only in 2007 that this clause was removed and a more forward-looking new treaty was reached. In 2008, Nepal also witnessed the abolition of monarchy. History will be de-constructed and re-constructed in Sikkim also. What would be critical now is to capture the thoughts and memories of the fledgling and vanishing generation in Sikkim that witnessed the entire transfer from the independent protectorate to Indian statehood. Institutions like Sikkim University had in fact launched a massive ‘Oral History’ project to record the undocumented cultural, political, intellectual and social heritage of Sikkim. Such efforts need to be multiplied both in view of Sikkim’s re-emergence as a central actor in improving India-China relations after the reopening of the Nathu la trade route in 2006 after 44 years. Reopening of this route to Tibet removed unrealistic yet lingering assertion of China putting Nepal, Bhutan and Sikkim on a par in their geographical configurations. Sikkim University, under its popular ‘Winter Sojourn’ programme that deeply connected with the communities, started recounting Sikkim’s pivotal role (along with Darjeeling’s) in sustaining the bio-diversity and ethno-botanical affluence in the Eastern Himalayas in the larger context of global discourse on climate change. The ‘merger’ vs ‘annexation’ discourse continues at an esoteric and fading level and tends to erupt faintly when there is a sense of violation of article 371F of the constitution of India—special provisions with respect to the state of Sikkim.